Stephanie Churchill PR is pleased to announce its appointment to handle the press and publicity for Truefitt & Hill, the world’s oldest gentlemen’s barber and perfumer. Founded in 1805, Truefitt & Hill has been providing its traditional barber and perfumer services to discerning gentlemen for over 200 years. 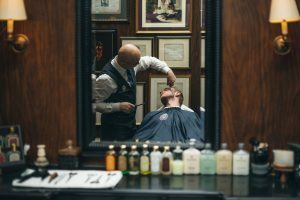 Its barbershop on St James Street has welcomed everyone from Winston Churchill, Charles Dickens and William Thackery to Idris Elba and HRH The Duke of Edinburgh, for whom it holds a Royal Warrant. Its product ranges are formulated with an exquisite blend of rare, natural and sophisticated essences. The collection includes a full line of shaving, fragrance, hair and bath products to provide a daily grooming solution for the modern man. Truefitt & Hill is located at 71 St James Street, discerning boutiques nationwide and also has 32 barbershops globally.